This month I’ve prepared a special Ferry Corsten Tribute Mix. The one hour mix features 14 classic trance tunes including some of his side projects like System F or Gouryella. Enjoy! 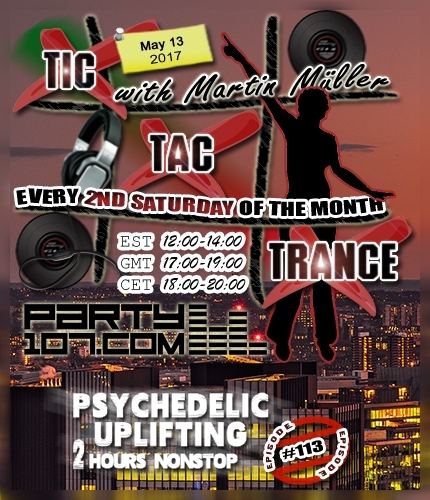 Tic Tac Trance #113 Replay available! Tic Tac Trance returns on May 13 2017 with episode #113 on Party107.com. You can expect for this show a 2 hours uplifting & psychedelic underground trance mix which features tunes of labels like Higher Forces, Subculture, In Trance We Trust, Kearnage, Skullduggery and many, many more! Make sure to tune in!